Extended route at 80km – 4000D +, keeping the 4 ITRA POINTS valid for accredited circuits. Both races will increase the original route of some passages to widen the horizons of the Tresinaro and Secchia rivers valleys. 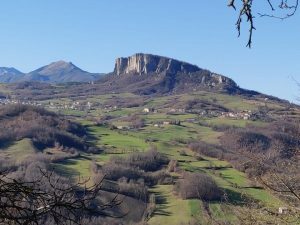 The AUT competitors will also be able to admire The Big Bench on Mount Fosola and the stage of the Reggiano Apennines with Pietra di Bismantova as the main actor. The limitations in terms of numbers and opening period of entries are necessitated by Amorotto asd’s willingness to maintain high organizational standards even with the lengthening of the routes and the tender times. Also unchanged is the logic of the combination of the CCV Castello delle Carpinete Vertical and one of the Sunday races. The Nordic Walking loses the race on Saturday but maintains the spirit inherent in the discipline of the two routes on Sunday. For the PST route even with a walk! On the website www.amorottotrail.it all the info to register, with the regulation and access to the reserved area.